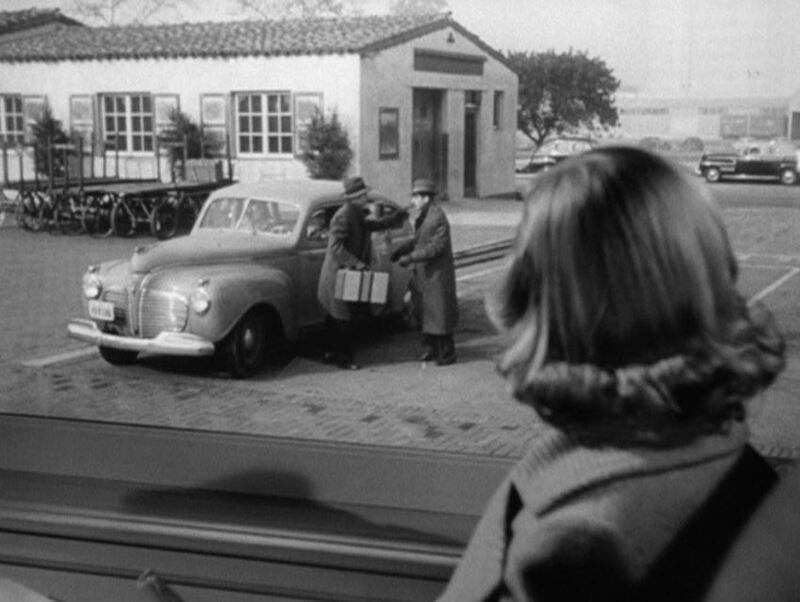 I first came across this movie by accident years ago, channel-surfing in during the “Elevated” scene. I was hooked. 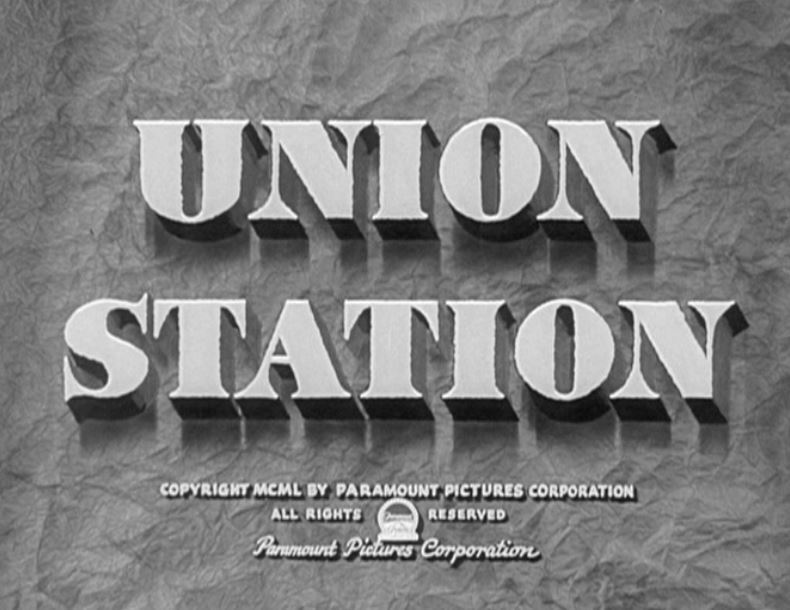 Revisiting Union Station recently, it proved to be a gripping and enjoyable rainy-afternoon’s viewing, set in the railroad terminal of a major American city. Los Angeles Union Passenger Terminal (LAUPT) provided many interior and exterior locations. 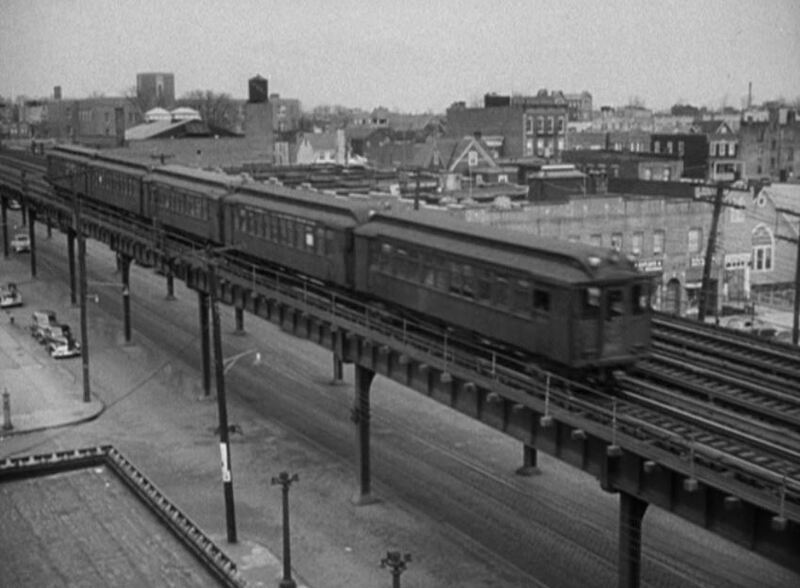 This film is unique in taking place on three levels of trains; elevated, surface and underground. 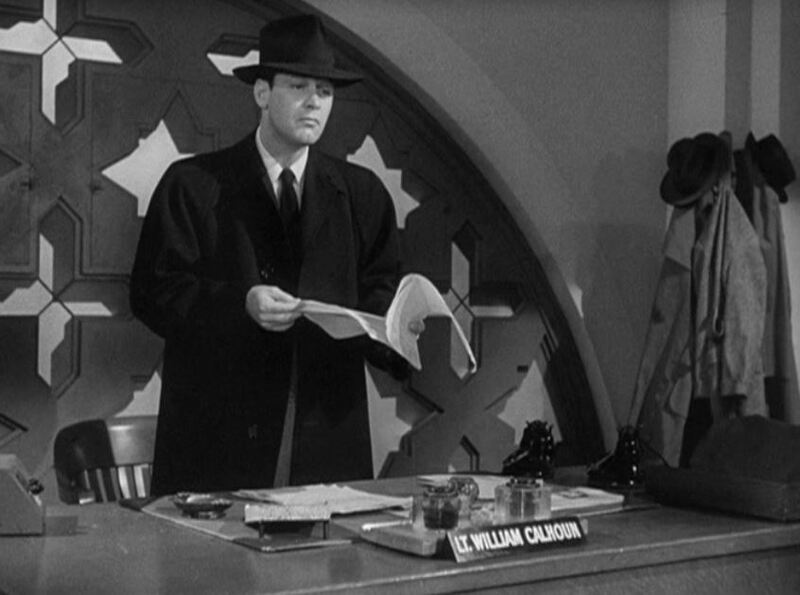 William Holden (as Lt. William Calhoun) and Nancy Olson (as Joyce Willecombe) star in this splendid example of film noir. Let’s check it out. SP 4337, a 4-8-2 Class Mt-3 “Mountain” rests with train at LAUPT as the train’s conductor introduces Nancy Olsen to Bill Holden. 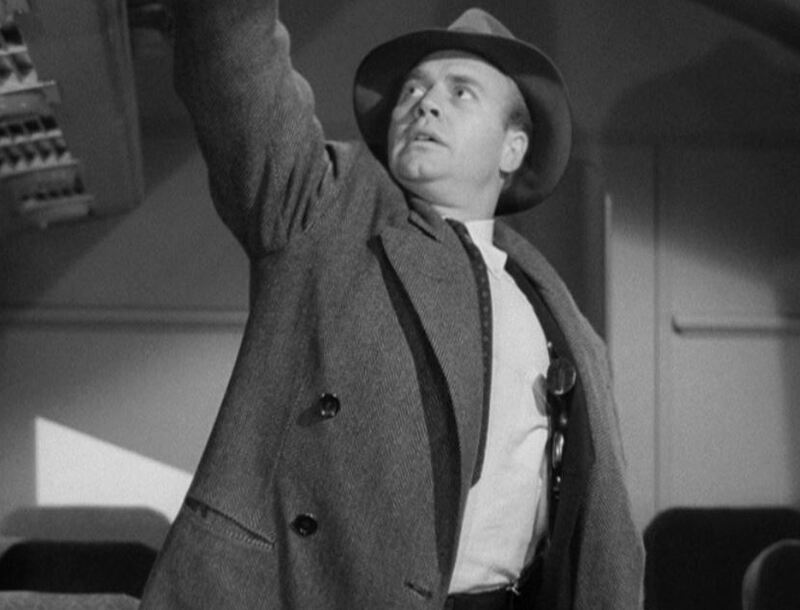 Joyce (Olson) sees two suspicious-looking characters race to board the train…at separate vestibules; Look out, he’s got a gun! 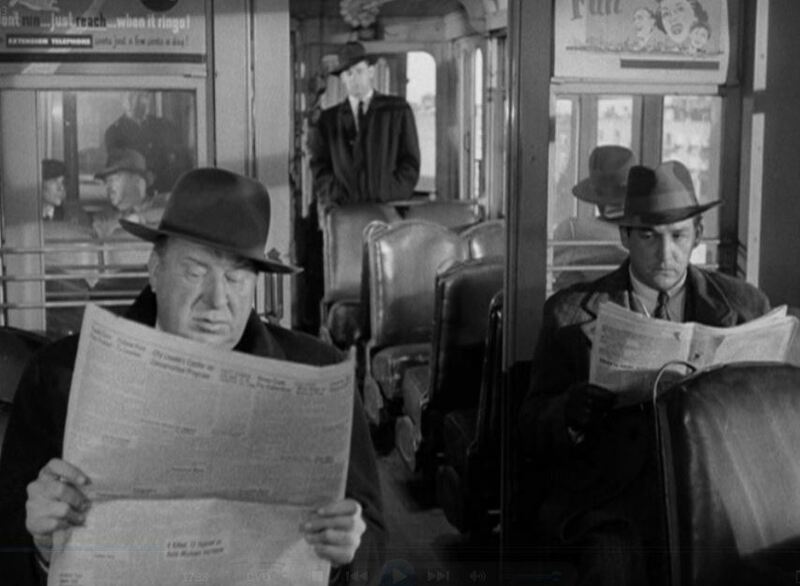 Troubled Joyce is now bracketed by the two ne’er-do-wells. 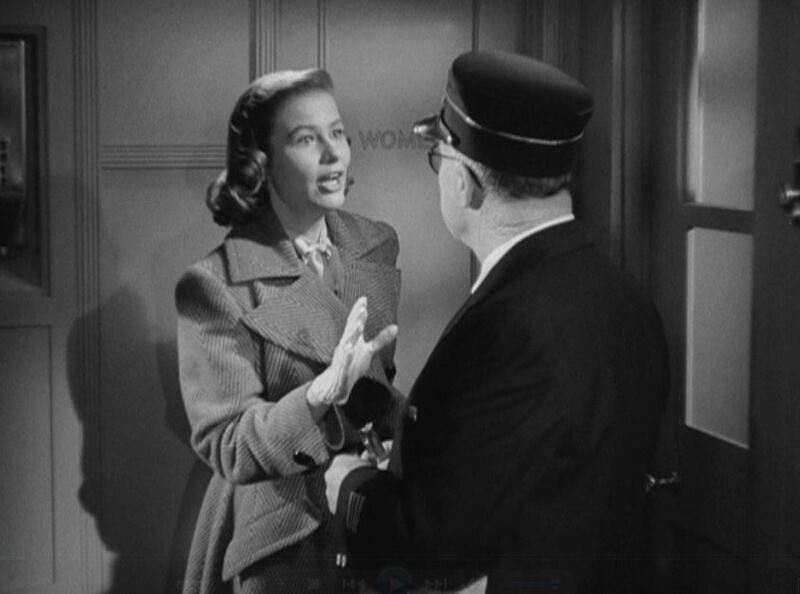 Not one to just sit back idly, Joyce pesters the conductor until he agrees to wire ahead to the railroad police at Union Station. 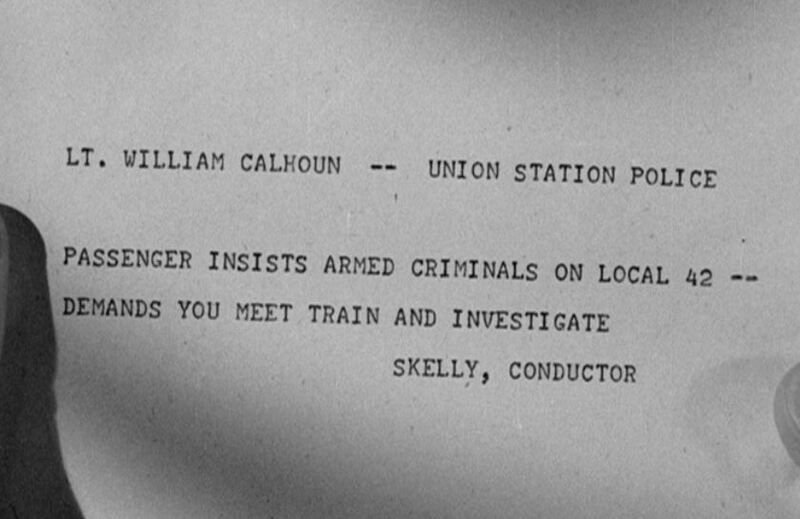 Lt. Calhoun (Holden) in his office high above the concourse of LAUPT; Bill Holden reads the telegram from Conductor Skelly on inbound train #42. Sounds like trouble! 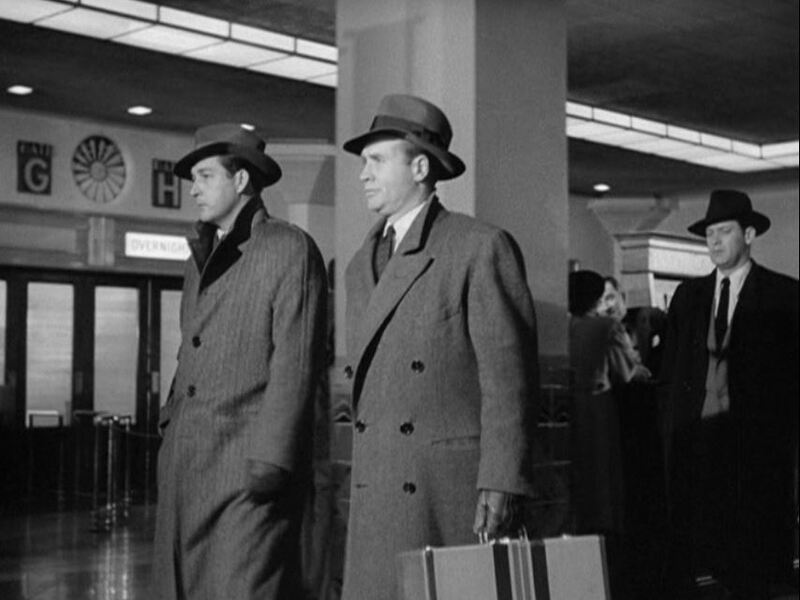 From right to left, Bill Holden tails the ringleader Beacom (Lyle Bettger) and his henchman. 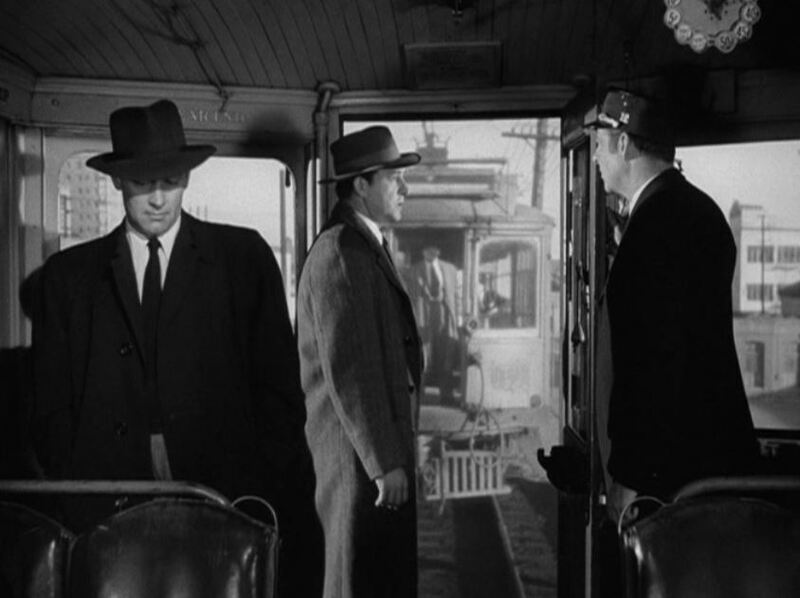 One of the henchman takes an elevated train and is followed (hopefully, he’ll lead them to the gang’s hideout); He’s on to the cops survaillence almost immediately. 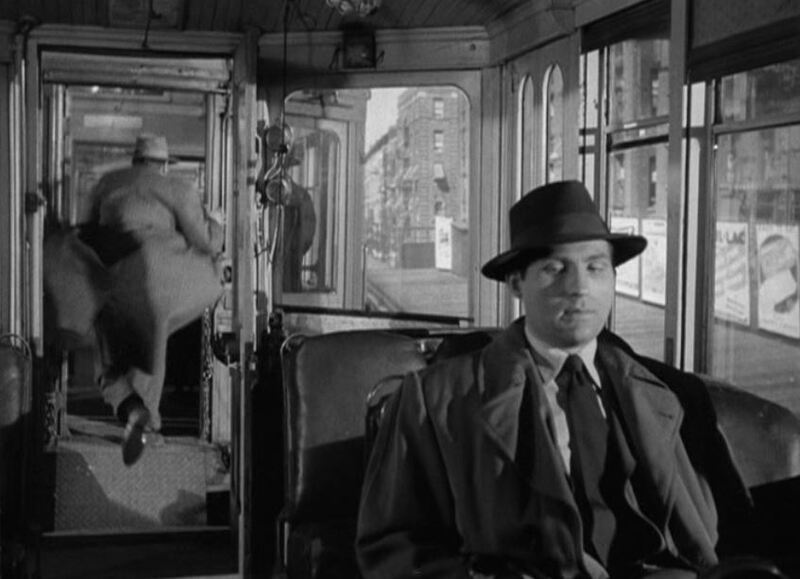 The henchman leaps from one car to the other as the elevated trains separate! 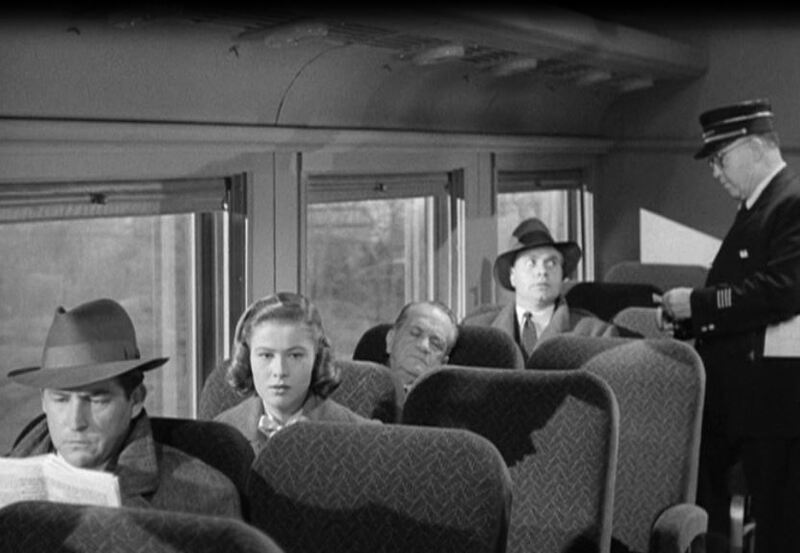 ; Fortunately Bill Holden is on the job as the conductor browbeats the safety-last henchman. 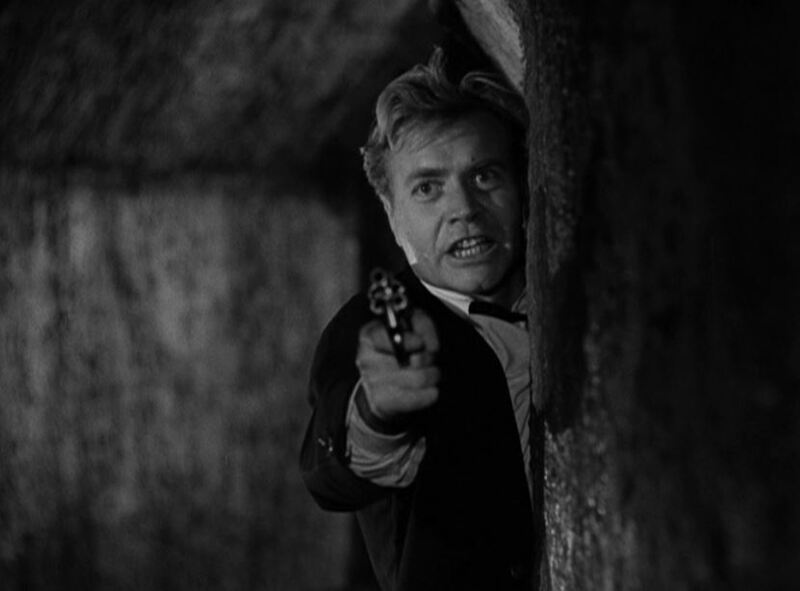 Finally, the henchman makes a break for it. 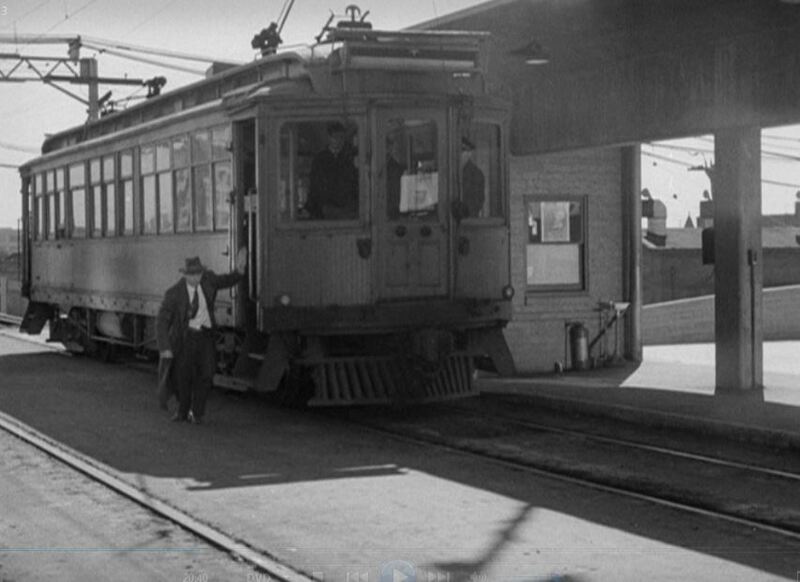 (Nice view of a Pacific Electric streetcar); Henchman finds himself trapped down at the stockyards with the cops closing in. 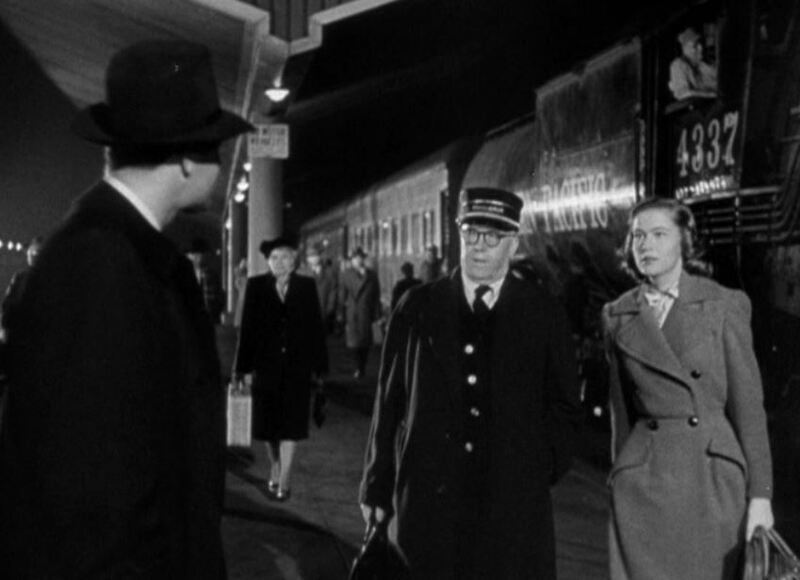 Notice the Santa Fe “El Capitan” billboard boxcar in the background. 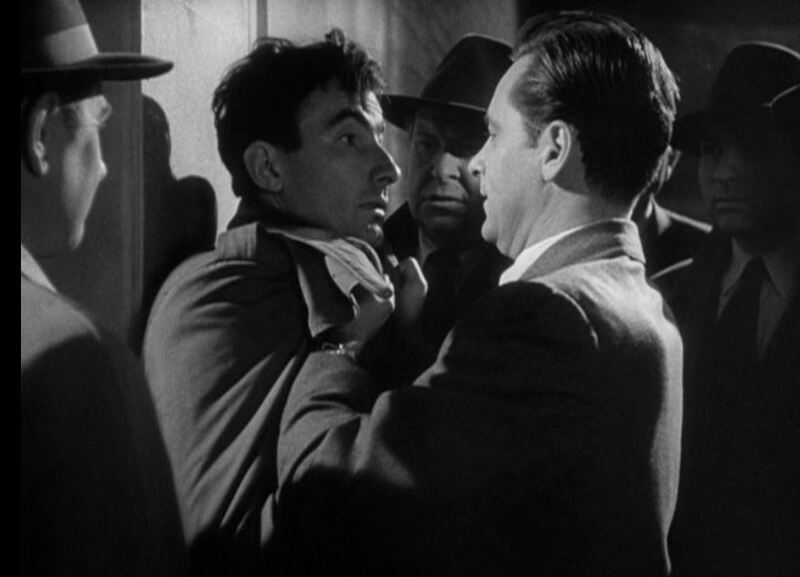 Not one to give up easily, Bettger sends another hapless henchman to pick up the ransom. He is quickly collared by Holden and the depot police. 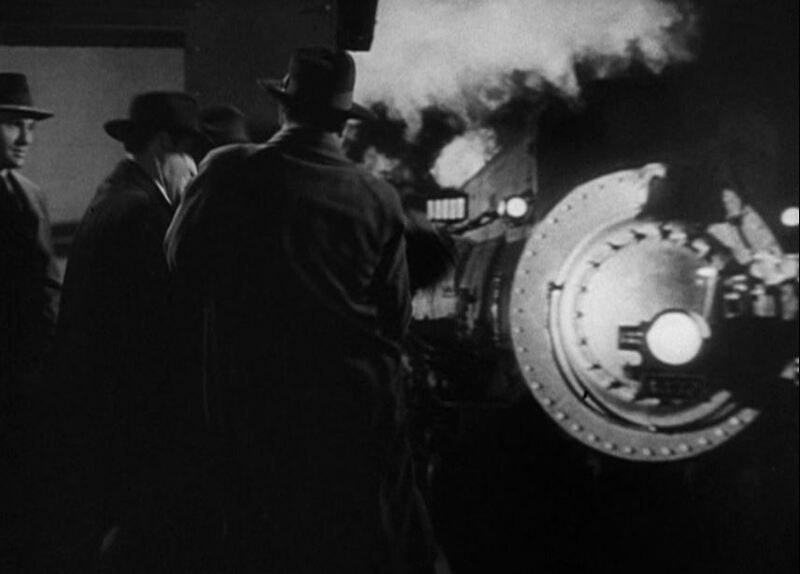 “OK, Wise Guy….TALK!”; Bill and the boys take the 2nd henchman trackside and hold him in front of an onrushing train (SP 4337 again) until he spills the beans. 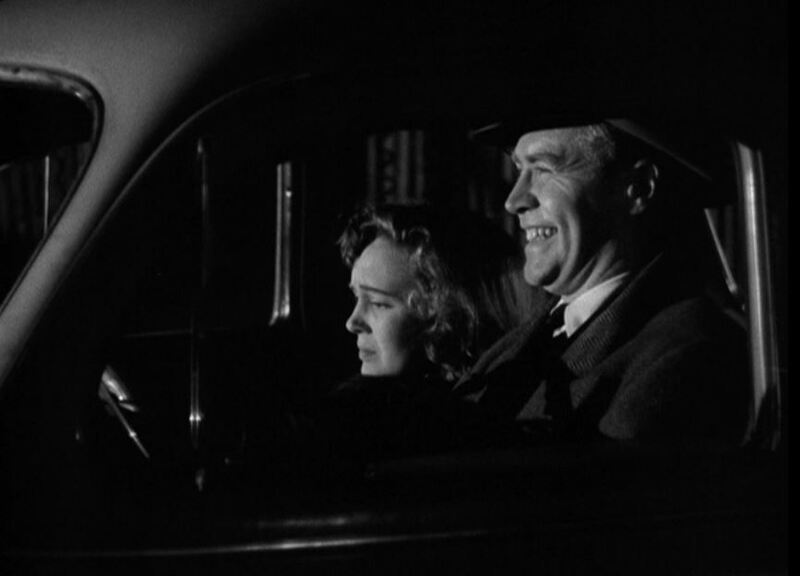 Fresh out of henchman, head kidnapper Beacom (Bettger) drives his prey to an undisclosed location; Kidnap victim (she’s blind!!) 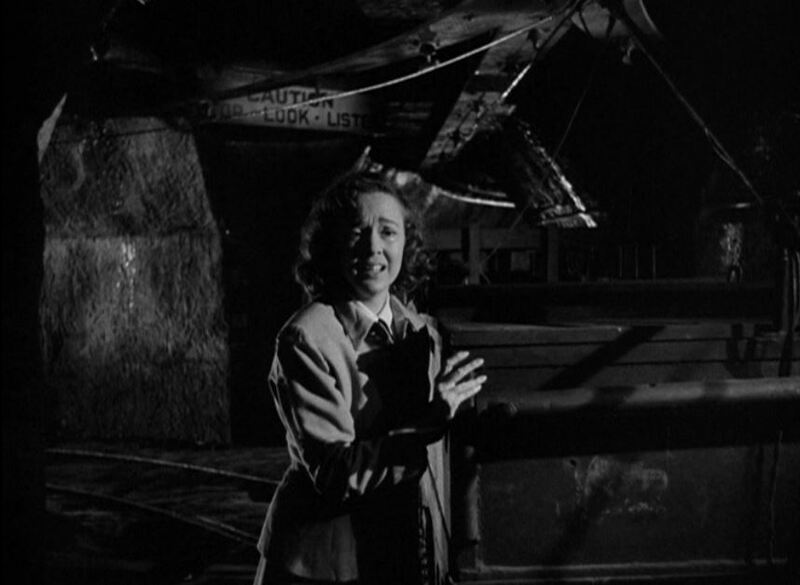 Lorna Murchison (played by Allene Roberts) is taken below ground by the leering Beacom. Kidnapper Beacom, ransom money in hand, leads his prey through an underground railroad tunnel; Bettger drives “No. 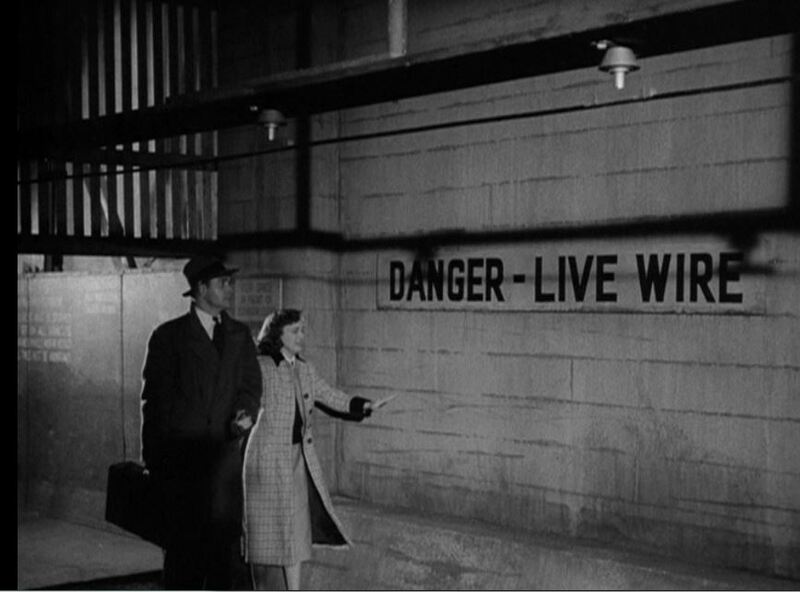 1” with overhead wire (note the spark). This appears to be some sort of underground freight railway that travels between stations or buildings. Pretty cool! 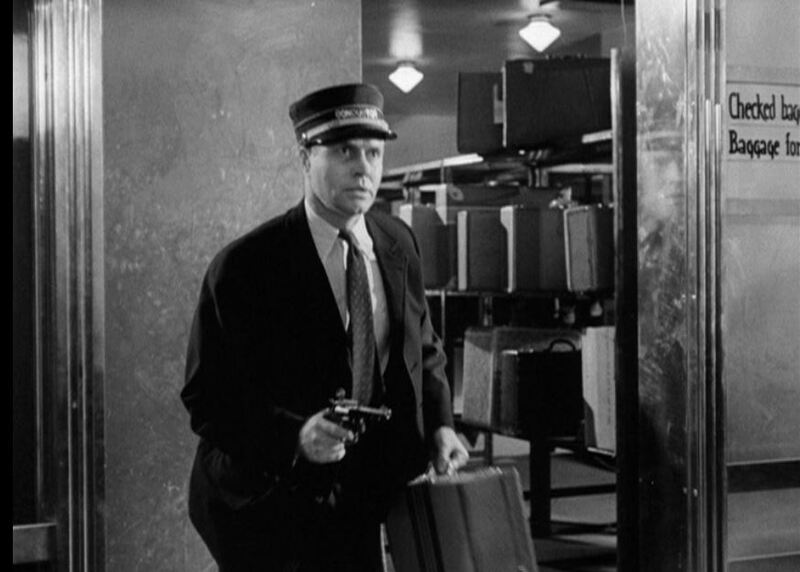 Beacom even tries a conductors uniform to foil the cops; Back to the underground, the evil kidnapper unloads his roscoe at the advancing policemen. 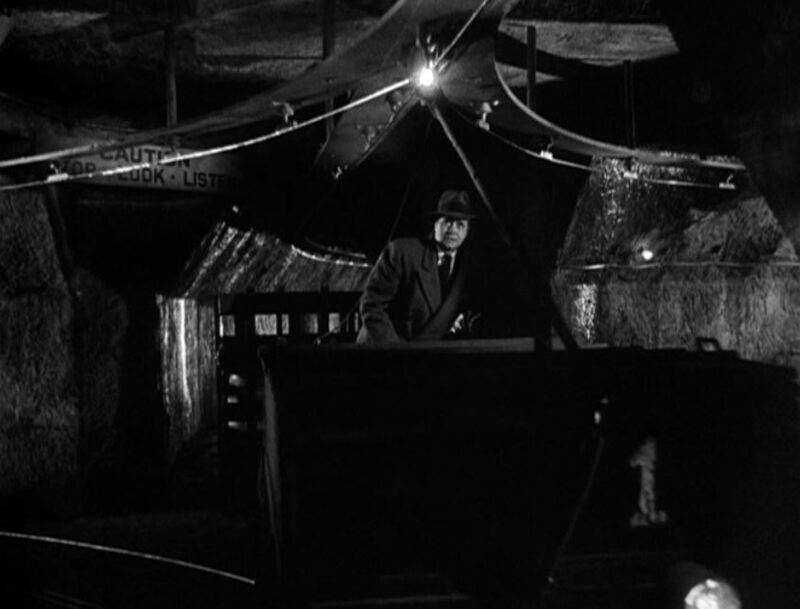 Screamer Roberts manages to get off the underground conveyance…but now what? 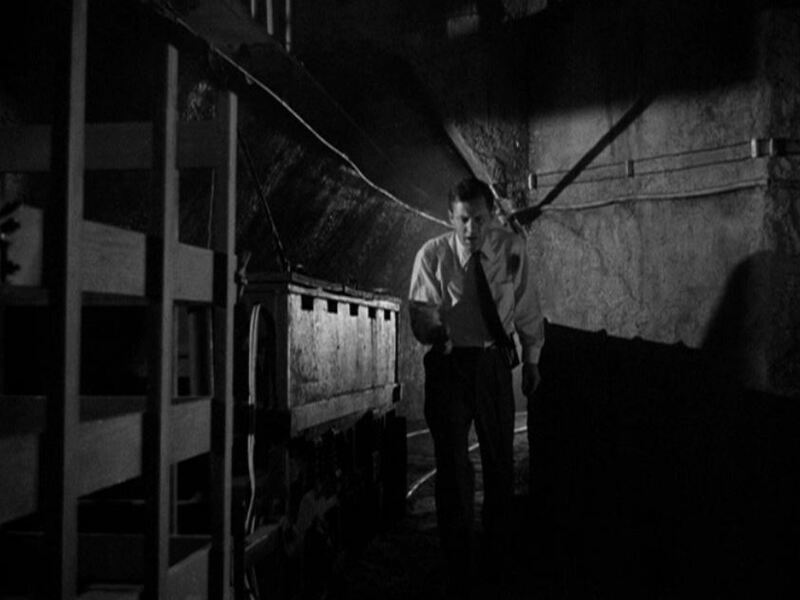 ; Bill Holden to the rescue (stumbling through the dark alongside the electric train equipment). Wow, what a page-turner! And I left off a bunch of cool stuff, too. 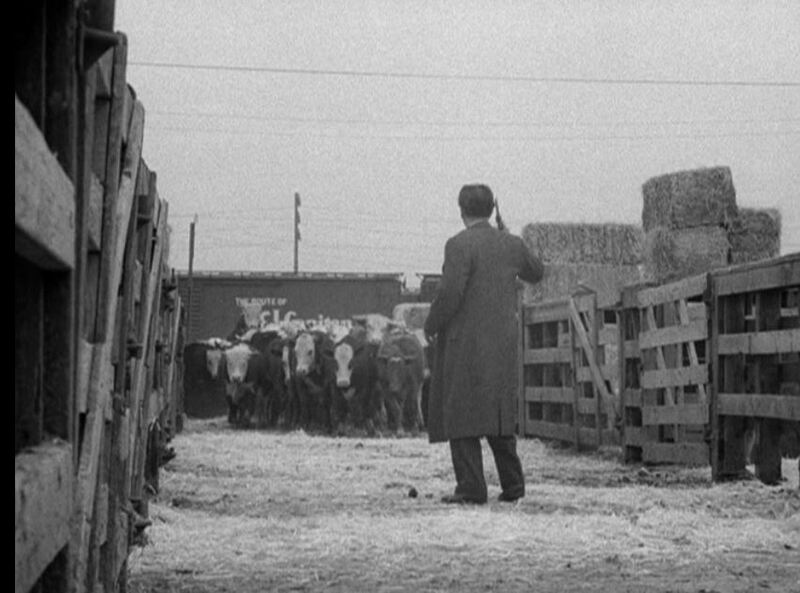 You simply have to stream this movie for yourself. Lyle Bettger is just so wonderfully despicable with his leering countenance. 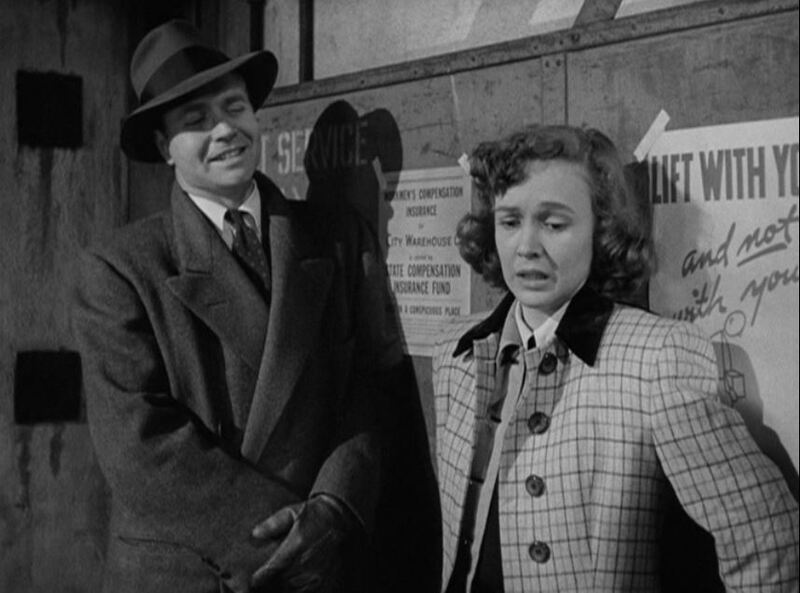 This entry was posted in Uncategorized and tagged Electric Railroads, Elevated Trains, Henchmen, Los Angeles Union Passenger Depot, Lyle Bettger, Nancy Olson, Pacific Electric, Paramount Pictures, Southern Pacific Railroad, Underground Railway, Union Station 1950, William Holden. Bookmark the permalink.